Germany has announced a far-reaching restriction on Facebook's over its data collection practices about users without their consent across its own platforms, like Instagram and WhatsApp, and related third-party sites. 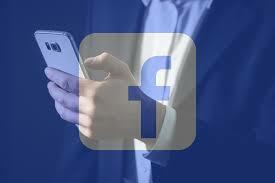 "In future, Facebook will no longer be allowed to force its users to agree to the practically unrestricted collection and assigning of non-Facebook data to their Facebook accounts," Federal Cartel Office chief Andreas Mundt said in the landmark order on Thursday. Facebook has one month time to appeal against the ruling, and as per the sources the company has vowed to challenge the decision, saying "it had been unfairly singled out and accusing German officials of 'underestimating' the competition they faced." The country's anti-trust regulator said that the terms and conditions of Facebook have forced users to accept its policy of collecting the data from multiple websites. If users do not agree to the terms and conditions, then the data 'must remain with the respective service and cannot be processed in combination with Facebook data,' they said. 'The previous practice of combining all data in a Facebook user account, practically without any restriction, will now be subject to the voluntary consent given by the users,' says Mundt. However, Facebook has slammed the ruling, saying "We face fierce competition in Germany, yet the [regulator] finds it irrelevant that our apps compete directly with YouTube, Snapchat, Twitter and others. 'As part of complying with the GDPR, we revamped the information we provide people about their privacy and the controls they have over their information. 'Using information across services helps to make them better and protect people’s safety.